The retail shopper is changing rapidly. To keep up, so must the retail industry. 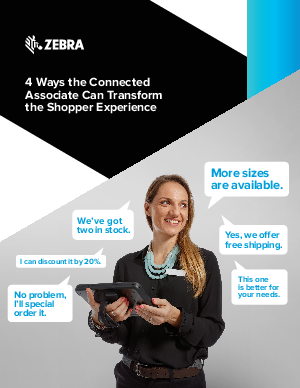 The internet, online shopping, mobile communications, smartphones, tablets and more turning traditional shoppers into something else entirely: connected shoppers. Today’s shoppers can now shop online, on either a computer or mobile device, as well as in brick-and-mortar stores. For retailers, the implications are huge. In this complex new environment, there are two vital questions. First, as a retailer, how do you create differentiated value that will enable you to stand out from the crowd? Second, how can you strengthen customer relationships, build loyalty, increase sales and maximize profitability? In the new world of retailing, the winners will be those who are able to create a smart, shopper friendly experience that’s unique to their store and brand, and consistent at every shopper touch point. Connecting store associates to more real-time data can give them new opportunities to ensure that shoppers get what they’re looking for, when they’re looking for it. That kind of positive shopping experience convinces shoppers to buy from you, not from your competitors.